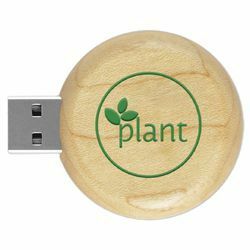 Prominent & Leading OEM Manufacturer from Mumbai, we offer high quality wooden swivel usb, round wooden pen drive, wooden usb flash drive, wooden card usb drive, wooden box pen drive and wooden pen drive in multiple colour. We are the leading supplier of High Quality Wooden Swivel USB. With an increased proportion of technology, we are offering a qualitative assortment of Round Card Shape Pen Drive that is provided with USB ports enabling easy transfer of data from one system to other. The provided Round Card Shape Pen Drive is used to store data that can be easily erased or reused in future. This Round Card Shape Pen Drive is accessible with us in different sizes & designs as per the demands of the customers. Owing to perfection and quality oriented approach, we have carved niche in the industry by offering Swivel Wooden Pen Drive with trendy design. Designed with ample storage space, this pen drive is an ultimate accessory for the PC user. In order to cater clients' specific demand in an elegant and smart way, the offered pen drive is designed with unique and sleek patterns with a wooden body. Highly appreciated in the market, this pen drive can be availed from us at budget friendly prices. 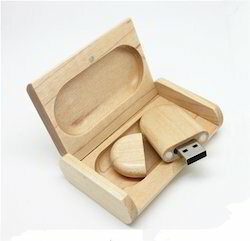 Leveraging on our latest infrastructure facilities, we are able to offer a wide gamut of Wooden Card USB Drive. This Wooden Card USB Drive is extensively demanded in schools, offices and corporate sectors. 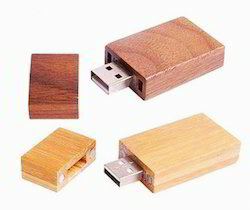 Offered Wooden Card USB Drive is inspected by experts in order to ensure its defect free range. 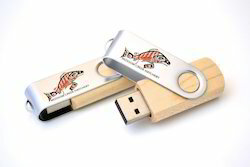 We offer this Wooden Card USB Drive in a plethora of designs and sizes in best packaging options. 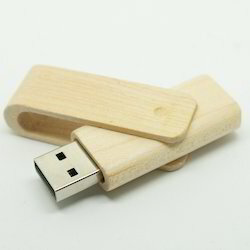 Wooden Pen Drive in rectangle shape , easy for engraving .